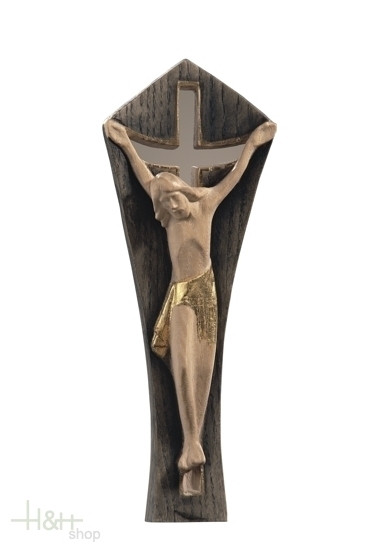 Crucifix in wood line design Art Collection. 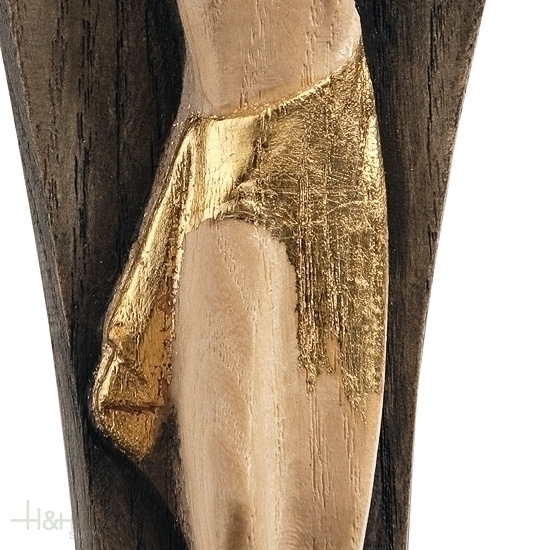 This sculpture depicts a Christ on the cross with golden tunic. 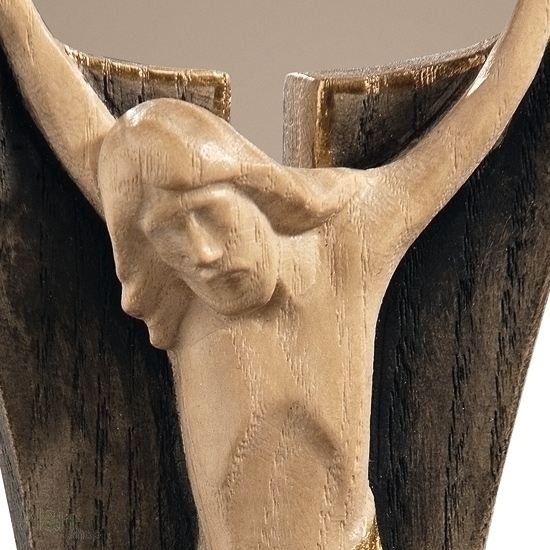 The statue rests on a basis which sees the crucifix and carved wood painted in black. 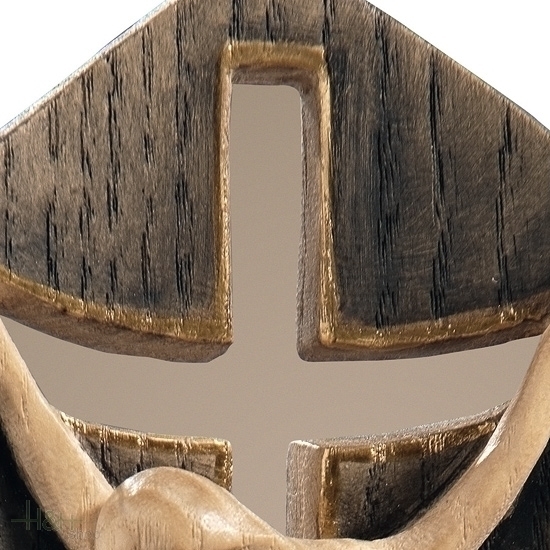 The very modern color makes it a beautiful object for houses from furniture and modern design.